Cooling installation and service is a critical component in running a successful commercial operation in many industries – from restaurants to retail food stores, commercial cold storage facilities to refrigerated product distribution centers. 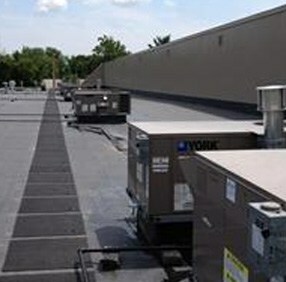 If you own or manage a business that requires efficient, reliable cooling installation and service throughout central New England, contact us, Young’s Cooling and Leasing. Cooling installation and service is our core business, which is why we’re the leading cooling system installation and service company for the area. If you need cooling installation and service to keep your employees comfortable, or a system to keep refrigerated products at a consistent temperature to meet safety regulations, we have the expertise, experience, components and systems to keep you and your business cool. Proper cooling installation and service is important for the performance, efficiency, and longevity of your equipment. There are a number of factors that go into installing new or used cooling equipment, which is why it’s always better to have it done professionally. Our family has been in the cooling industry for decades and we know from experience what can be done and what can’t be done. Over the years, we’ve found that a lot of the commercial refrigeration equipment and commercial air conditioning system service calls we get are due to customers having unsatisfactory experiences with several different cooling installation and service companies. Even after one or more companies tried to solve the problem, it still wasn’t fixed and the customer was losing time and money. More often than not, our experienced technicians could look at the problem, identify what it really was, and fix it the first time. That’s why so many area companies look to us for all their cooling installation and service. Why take chances with a new install, or continue to struggle with your current cooling system? Contact us today and see for yourself why Young’s cooling installation and service should be your commercial cooling system company.